The Gap campaign was one of my favorites. I was travelling somewhere, and saw one of the really big posters in a bus stop, behind glass. It was so cool, and made me smile. I’ll bet it made lots of people smile. 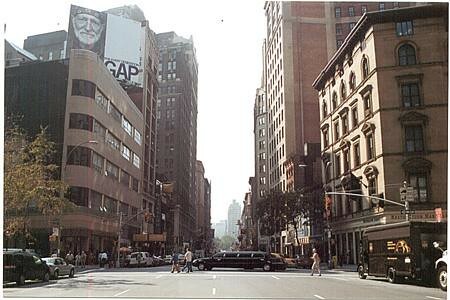 In 2006 Gap published a book featuring the artists who appeared in their ad compaign, with pictures from the photo shoots. 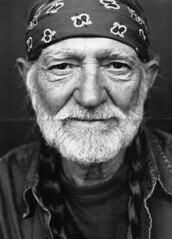 Willie is one of the five artists who contribute essays to the book. This entry was posted on Saturday, August 8th, 2009 at 5:55 pm and is filed under Advertisements, Commercials. You can follow any responses to this entry through the RSS 2.0 feed. You can leave a response, or trackback from your own site. There are several on Amazon.com for sale. Some with the CD, others without. Willie’s not on the cd, but I think I’ll get a book. Thanks! Barnes and Noble has some too! I am going to get one. I wish they would have put Willie on the cd!